Team NINJA took the EVO Japan 2019 stage by storm today, making a flurry of announcements including the pre-launch DEAD OR ALIVE 6 Deluxe Demo, a new eSports venture – the DEAD OR ALIVE World Championship, and the first news on the upcoming DOA6 Season Pass 1; including the addition of two characters from SNK’s THE KING OF FIGHTERS XIV. The Deluxe Demo will be exclusive to Xbox Live Gold members through the Microsoft Store, and PlayStation PLUS subscribers through the PlayStation Store. The demo will be playable on February 22, 2019 and will run through February 24, 2019 in North America. The DEAD OR ALIVE 6 Deluxe Demo will consist of online ranked and lobby matches, as well as Free Training, Tutorial, Command Training, Combo Challenge, and an introduction to Story mode. The demo will feature all 24 characters available at launch – all hairstyles and glasses will be available for each of the playable characters. Team NINJA also revealed the first information on the upcoming DEAD OR ALIVE World Championship. Qualifiers will be held in North America, Europe, and Asia; with each region’s top players competing at the Grand Finals in Japan. Qualifiers and Grand Finals total prize will be equivalent to 10 Million Yen (JPY). In addition, a collaboration with SNK’s THE KING OF FIGHTERS XIV was confirmed. Mai Shiranui joins the battle this June as a guest character alongside another KING OF FIGHTERS combatant who has yet to be announced. The fighters will be sold separately, but both will also be included in Season Pass 1. DOA6’s Season Pass 1 will be available for purchase beginning March 1, 2019 and will also include 62 new costumes: DOA6 Happy Wedding Costumes Vol. 1 and 2, DOA6 New Costumes set Vol. 1 and 2, and additional character costumes for the two SNK fighters. Season Pass 1 bonuses will also feature new NiCO and Nyotengu costumes. All Season Pass 1 content will be made available between March and June 2019. DEAD OR ALIVE 6 is currently in development for the Xbox One, PlayStation 4, and digitally on Windows PC via Steam, and will be released worldwide March 1, 2019. For more DEAD OR ALIVE 6 Xbox news, upcoming Xbox games and release dates, Xbox achievements and more, follow @XONEHQ on Twitter, Google+, Facebook and YouTube, download the free XBOXONE-HQ.COM app for Android and until next time, game on! Bioware’s multiplayer action role-playing, "Anthem", is out now for Xbox One, PS4, and Windows PC users. The wait is over, Anthem is here! Team with up to three other players in cooperative adventures that reward both combined effort and individual skill. Each player’s choice of Javelin exosuit will shape their contribution and strategic role. As you explore, you will discover a gripping story filled with unique and memorable characters. Seamless and intelligent matchmaking will ensure you can quickly and easily find other players to adventure alongside. Anthem includes 46 achievements worth 1000 Xbox gamerscore. Check out the complete list of Anthem achievements for Xbox One. ACT 01 – ECHOES OF REALITY - The world of Anthem was left unfinished — abandoned by the gods. It is a dangerous place. Chaotic. Unpredictable. As a freelancer, you are one of the elite few chosen to fight against the chaos. To wield the power of your javelin and bring order to the madness. 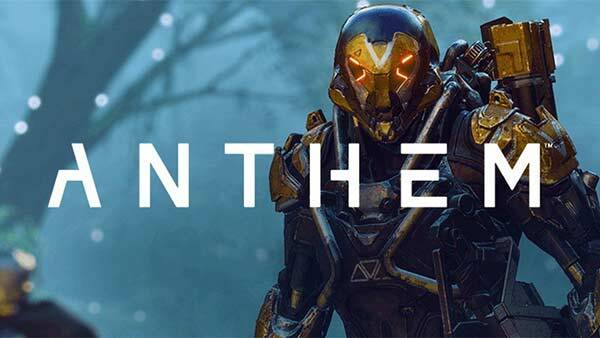 Developed by BioWare and published by Electonic Arts, Anthem is available today for the Xbox One, PlayStation 4 and Windows PC. For more Xbox news, rumors and updates, upcoming Xbox One games and more, follow @XONEHQ on Twitter, Facebook and YouTube, download the free XBOXONE-HQ.COM app for Android, and until next time, game on! There is something incredible in that how the online gaming world changed. Long ago it was just a set of simple products that could not provide some extreme feeling, only simulation of certain world. Today everything changed and playing virtual games became something incredible allowing full feeling of created atmosphere. All this became possible because of high technologies and bigger abilities of equipment. All started in the 1970's when first arcade games appeared. Some of them became extremely successful and gained wide popularity all over the world. In those times arcade cabinets were installed just everywhere. You could find them in restaurants, malls and stores. After some time games moved to small consoles that provided more comfortable gaming at home. It was a great decision for people preferring playing in some private place. In the 1980's quality of products significantly grew and allowed users receive more exiting feelings from playing. It is the time when personal computers appeared, so games quickly moved to new platform. It was an extremely important step in development of gaming industry. During the 1990's game products changed extremely fast. PC became more and more available and people started use them for their entertainment. It was an impulse for CD technology development, because it was the only one way for gaming software spreading. Moreover, gaming industry became an additional stimulus for CPU and hardware improvement. After the 2000's, game development became a multi-billion dollar industry and spread out to mobile phones, too. Today gaming industry has developed even more with the help of Internet. Multiplayer and additional abilities of game spreading made such entertainment more available. Now people can choose whether they want to buy licensed CD or just online in some market like Steam. Along with that, players are free to use not only PC, but also special game consoles. Modern consoles significantly differ from Dandy and Sega – industry pioneers. Today you can buy Xbox or PlayStation and enjoy extreme quality of offered products. Moreover, you can play online with other users with the help of special services like Xbox Live. It is a perfect way to gather own dream team from professional gamers from around the world. Another ability of modern gambling is playing directly in browser. Various MMO RPG, strategies and simple games provide big abilities for having rest with the help of Internet. Such gaming became more popular because of ability playing with other people. 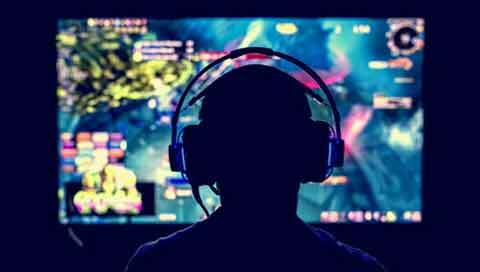 Another interesting tendency is that people can enjoy their favorite hobbies in a gaming mode. No matter what you prefer – tennis, football, fishing or just casino games – you can find them in a simulation variant. But still you are free to choose how to spend your free time. You can buy some high-quality fishing simulator or spend that money for visiting some picturesque lake. The same is about casino – instead of paying for money, you can open your favorite game, for example blackjack card game on your Xbox and play for free. It looks like gaming industry development would never stop. New technologies, gadgets and capacities provide more and more abilities for creating fantastic or realistic worlds. Moreover, there are tendencies in gamer’s age change. Today it is not only about young males. Many adults prefer having rest sitting in front of their computer, smartphone or console. Such changes demand certain actions from developers – new products have to be interesting for various demographic categories. The Trials Rising open beta is now available for digital pre-download on Xbox One. Be among the first to explore the latest game in the Trials franchise. 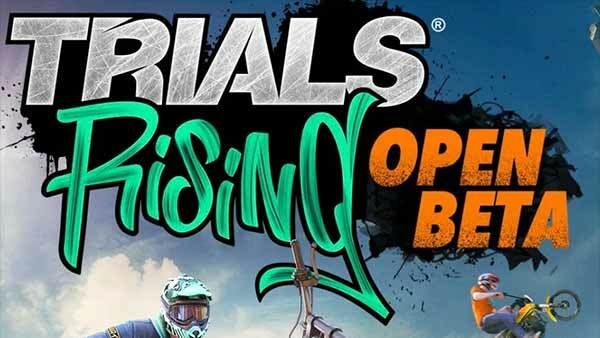 Explore over-the-top action and physics-bending motorcycle racing in Trials Rising, the latest edition of the Trials franchise. Make your way through the new global multiplayer mode, compete in challenging tracks all around the world. The open beta runs from February 21st to 25th! Play the Xbox Beta and unlock the Trials Turbo Bike at launch.Pre-order Trials Rising now to receive the Jungle Rider Pack and the Wild West Ride Pack! Trials Rising launches on February 26 on Xbox One. For more information on the game, browse through all of our Xbox coverage including Xbox screenshots, Xbox game trailers, best new and upcoming Xbox games, Xbox achievements, Xbox news & rumors, follow us on Twitter, YouTube, Google+, Facebook, download the free XBOX app for android, and as always, until next time, game on!